Home » Blog » Quickslide have raised £434 to Children In Need. Quickslide have raised £434 to Children In Need. 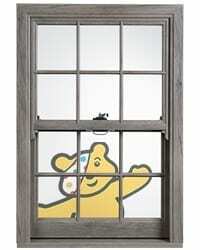 Donations are a vital part of Children In Need and that’s why every year Quickslide donate £2 per product sold on the dedicated Children In Need day. This year we sold a total of 217 products, which means we’ll donate £434 to Children In Need. Every single year the yellow bear, Pudsey makes an appearance on our support materials such as our website and the quotes we send out to customers. We do this to raise awareness and to encourage others to give a little to the children in need across the UK. As a family business that relies on the country’s generations to come, we feel that it’s our duty and responsibility to help raise money for disadvantaged children who may one day become a dear colleague to us all. Here at Quickslide, we’re proud to be part of a country where even though we may not agree on everything, we can come together and raise thousands for our rising stars.